We're accustomed to saying that a "contrived" story is necessarily unsatisfying, but Fatih Akin's fascinating and brilliant The Edge of Heaven puts that notion to the test: the movie presents a tangled network connecting six people that could hardly be more contrived, and to add insult to injury, most of those contrivances don't end up going anywhere. It's a film with almost Dickensian levels of coincidence, but where Dickens used coincidence to tie his sprawling narratives off with a happy, shiny bow, Akin really only calls attention to how little in his screenplay has been resolved in any conventionally satisfying way. The film builds itself up slowly: there is first a scene of a Turkish-German man we'll later know as Nejat Aksu (Baki Davrak) buying gas and water at a dusty gas station somewhere on the Black Sea coast. He gets to talking with the attendant about the pop music on the radio, performed by a big star in the region who died just a couple of years ago...about Nejat's age, in fact. Nejat's eyes flicker ever so slightly. From that moment, death is a constant in the film: from the title, which in either language (the original German, Auf der anderen Seite, translates as "From the Other Side") suggests the thin line separating life and afterlife, or Akin's division of the film into three segments, two of which give away the death of a character in their title, as soon as they begin. This doesn't make it morbid or mordant, for as much as anything the point of the film is to marvel at the unlikeliness and fragility of living systems, be they people or cultures. It's not sad that we die, it's amazing that we live at all. It's for this reason, I think, that Akin never ties up his extraordinary number of loose ends, and why I can't imagine wanting him to. The Edge of Heaven is a microcosm of how ultimately every human can be linked back to every other, which in the movie as in life is both unbelievable and inevitable. The Cliffs Notes version of that interconnectivity: Nejat is the son of Ali (Tuncel Kurtiz), a Turkish man in Bremen who falls a little bit in love with a prostitute named "Jessy", real name Yeter (Nursel Köse), who, sends money to her daughter in Istanbul, Ayten (Nurgül Yesilçay), as often as she can. For reasons explained in the film, Nejat goes to Istanbul to look for Ayten at about the same time that she goes to Bremen to look for Yeter. She instead finds Lotte Staub (Patrycia Ziolkowska), an absent-minded free spirit and college student, and the two quickly fall in love over the cautions of Lotte's mother Susanne (Hanna Schygulla). Ayten is forced back to Turkey, quickly followed by Lotte, somewhat later by Susanne, both trying to find legal strategies to keep the girl in Germany. While in Istanbul, Susanne meets up with Nejat, who had let a room to Lotte earlier. There are some details to fill in there, of course, but it wouldn't be much fun for anybody if I gave it all away here. The point is that what makes The Edge of Heaven remarkable is how delicately it whips up its intricate contrivances; what makes it a masterpiece is that it does none of the things we expect with those contrivances. Susanne and Nejat never, ever figure out how closely they're tied together, but they do share the film's chief moment of emotional catharsis and understanding with each other; one might even say that they alone find the mutual understanding in each other that the two pairs of lovers fail to achieve. This is one of the story's numerous matched parallel sets within the six characters, including every one that makes sense and a couple that don't. One gets the feeling that the whole stuff of humanity is somewhere in the film, if only you spend enough time with it. 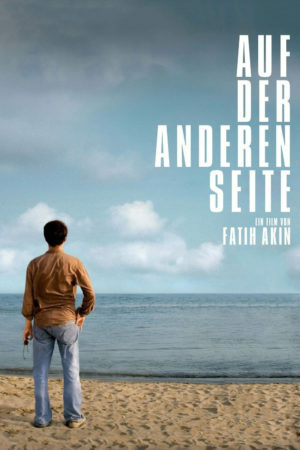 Akin's last feature was the far more stylish and energetic Head-On, which shares with The Edge of Heaven very little other than a fascination with the ever-changing concept of what "European identity" refers to. Though Head-On is certainly a fine movie - centered on one of the better romantic stories of the current decade - it's very much the case that his newest work is a significantly more mature film. Gone is the style-for-style's-sake camerawork, replaced by a keen eye for geography (the film has a better sense of place - two places, really - than any other film I've seen in 2008) and an aggressive editing scheme that propels the movie forward with only the occasional lapse into showing-off. The screenplay itself is much less smug than his last, and while it's possibly more miserabilist, it feels like the miserabilism is in service to something other than trendiness. If Head-On was the film where Akin proved that he deserved attention, The Edge of Heaven is the one where he starts to prove that he deserves respect. Mostly, it's because of the new humanism in Akin's work, found in its more sensitive characterizations and the dynamite performances that give them life (Schygulla, the onetime muse of Rainer Werner Fassbinder, gives a powerhouse performance that is completely unsurprising; that she is evenly matched by just about every other cast member, that is the surprise). That is the exact reason for its contrivance and its lack of closure; life is contrived more often than we'd like, and lacks closure almost constantly. That's not a fun theme for a movie, and The Edge of Heaven is, indeed, not fun at all; but for all of its tottering artifice, it's uncommonly honest, and for that above all it deserves respect.